This member of the Leading Hotels of the World and of Constance Hotels, Resorts and Golf represents beautiful, upmarket 5 Star luxury. The Water Villas are the ‘basic’ accommodation (still to die for, with 100 m2 of fabulous bedroom and living area, sundeck, private pool and steps leading into the ocean) while the Beach Villas are luxury personified; just consider the outdoor bathroom with its sunken bath and rain shower nestling among the lush foliage. Constance Halaveli is where you lie back and relax on your own private sun terrace, dip in your own plunge pool or take time to nurture body and mind at the over water U Spa by Constance – total bliss. All the usual sporting activities, the kids club is really lovely and the Family Beach Villas and the Double Storey Beach Villas are great for guests with children. Indulge in fine food and sumptuous flavours at Jahaz, enjoy dinner at over-water Jing where European chic combines with a touch of Asian favour and al fresco dining at Meeru epitomises the Maldives experience. 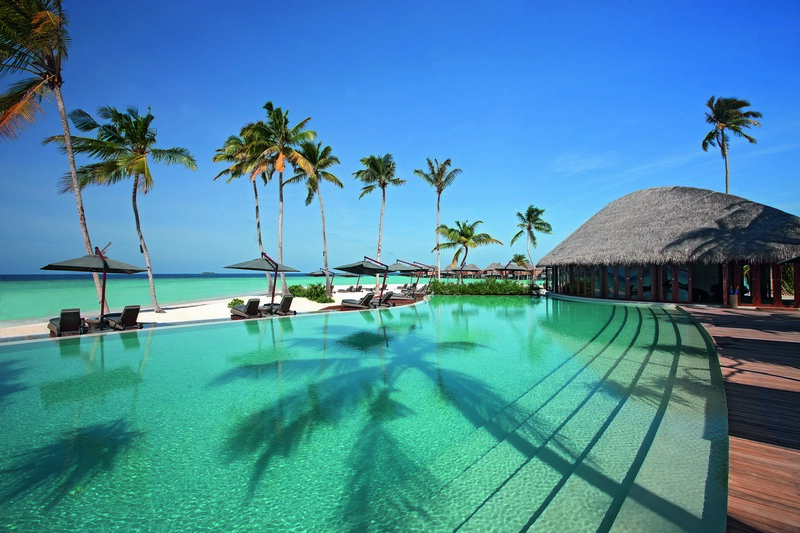 Be prepared for a one of a kind escape at Constance Halaveli Maldives! Private beaches studded with oversize bean bags, wooden balconies descending into the ocean – truly a place where your comfort and pleasure are understood. 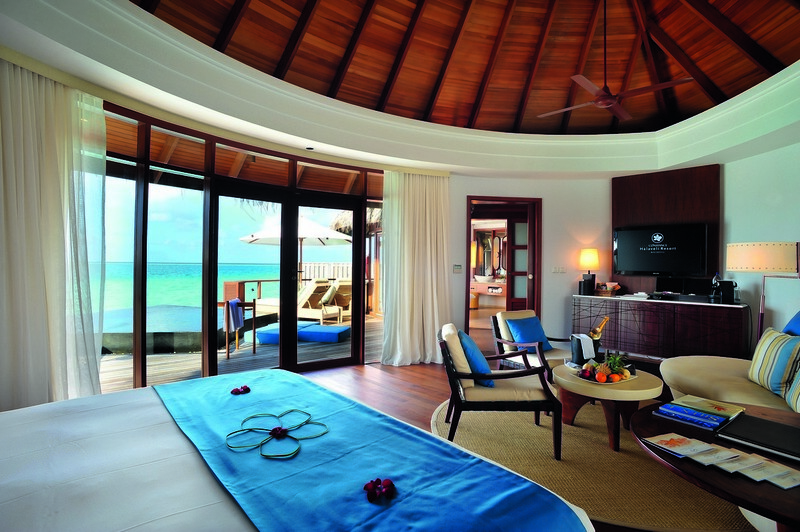 All the Villas are air conditioned and feature their own private plunge pool located on the beach or over the water. They are comfortably furnished using modern wood and marble. Each villa has also a furnished terrace or balcony and bathroom comprising separate shower (inside or outside). The resort operates on a bed and breakfast basis with options to upgrade to Half Board and All Inclusive. The main buffet restaurant & bar is open for breakfast and dinner and serves international food and features themed evenings and special events. This speciality restaurant & bar is built on stilts over the water and features speciality fusion cuisine where East meets West offering Asian dishes combined with a European touch and is open for lunch and dinner. The Jing restaurant will be closed 1 night per week. 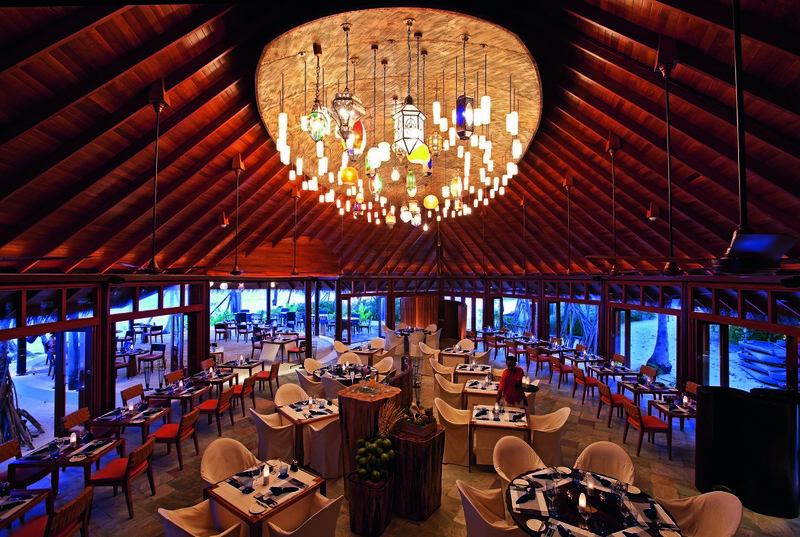 The beach grill offers a wide selection of seafood in an "al fresco” setting. It has a casual and barefoot atmosphere and is located on the beach. Open for Lunch, Dinner and special themed evenings. Open daily for lunch with a menu offering traditional Japanese sushi rolls, sashimi and maki’s. The main bar with a beachfront location and seating both indoor and on the beach. This over water bar opens in the evenings only and is attached to the Jing restaurant. This bar is closed one night per week. Young guests ages 4-11 are invited to unleash their spirit and adventure at Constance Kids Club. Fully trained and enthusiastic Coordinators will lead trips of island exploration, local crafts, culinary activities, make sand-castles, watch amazing sunsets and stars, send their balloon wishes high in the sky and arrange treasure hunts. Discovery will be a key part of each daily theme. 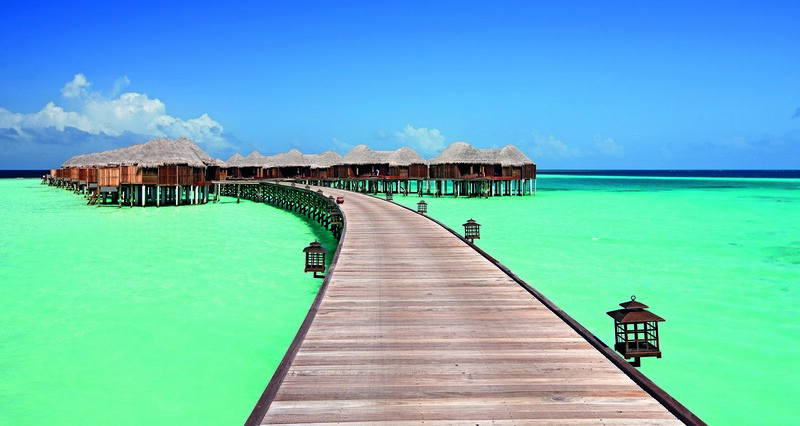 The marvellous spa at Constance Halaveli rests on stilts above the gently lapping waters of the Indian Ocean and has stunning views across turquoise waters from the treatment rooms, a spacious, decked outdoor wet area and an Ocean Salon. Relax, rejuvenate, detox, re-hydrate or simply enjoy – the choice is yours.